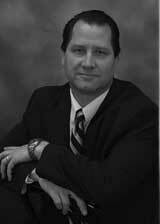 Mr. LaPorte is a Forensic Chemist and Document Dating Specialist with over 18 years of experience in the field of forensic science. He is also currently employed with the United States government and trained with the U.S. Secret Service in the field of questioned documents with specialization in the area of ink and paper analysis where he served as the Chief Research Forensic Chemist. He received a Bachelor of Science degree and Bachelor of Commerce in Business Administration from the University of Windsor (Canada) and a Master of Science in Forensic Science from the University of Alabama at Birmingham. Mr. LaPorte is a member of several professional organizations including the American Academy of Forensic Sciences (AAFS), American Society of Questioned Document Examiners (ASQDE), Mid-Atlantic Association of Forensic Scientists (MAAFS), American Society of Testing and Materials (ASTM) International, and a contributing member in the Scientific Working Group for Questioned Documents (SWGDOC). Mr. LaPorte has conducted over 70 lectures, seminars, and training events in 13 different countries for law enforcement agencies, professional organizations, and technical experts. He has published several peer reviewed scientific papers in the area of forensic document examination and authored chapters on the Chemical Analysis Techniques Used in Forensic Document Examinations and Document Fraud and Forgery.